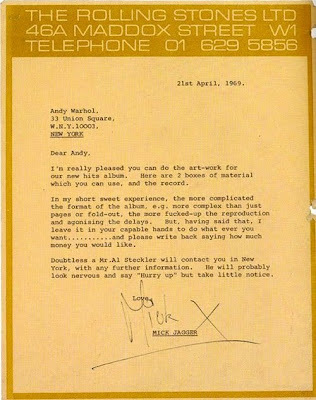 This is an actual letter from Mick Jagger to Andy Warhol, thanking him for accepting his request to do the Rolling Stones new album art in 1969. So classic, both of them are such amazing artists in their own right. Click the image to get a bigger version to read.